Del Cristo white cap balsamic vinegar is aged not less than 12 years. 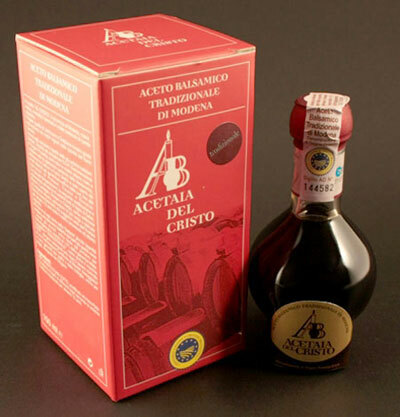 Del Cristo balsamic vinegar is produced by the Barbieri family, who produce Consorzio of Modena Tradizionale balsamic only. The four Del Cristo balsamico's shown in our selection all have unique variations. Del Cristo white cap balsamic vinegar is aged in a variety of woods.